POWER aimed to boost the development of off-shore wind energy in the participating coastal regions. 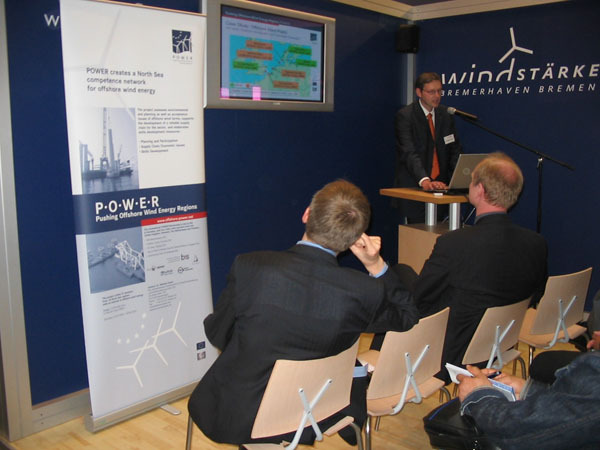 It focused on improved planning, participation and decision-making processes regarding offshore wind farms; supporting the establishment of off-shore wind energy industries and positioning the North Sea Region as a global hot spot for off-shore wind energy; and providing education and training courses to fulfil the need of the off-shore wind energy sector for specialist knowledge and a skilled workforce. The POWER competence network has helped to strengthen the leading role of the North Sea Region in the wind energy related markets. The project has established a common platform for discussion, exchange and transnational activities covering different sectors and spatial levels. The project has assessed common practices in offshore wind energy in five POWER countries including an evaluation of procedures in the planning and realisation of several offshore wind parks in the North Sea. The project has had several involvements with national and regional business support organisations as well as with higher educational and vocational institutions. This has guaranteed for the project a comprehensive in-depth understanding of recent offshore wind energy development, and allowed high profile matchmaking for the industry locally and transnationally. The cross-sectoral integration was wide, as anticipated in the application form. Through high profile POWER conference and events, workshops and training activities, a wide range of sectors could be effectively reached, including the industry, business support organisations, local and regional governments, education and research institutes, higher education students and the general public. The POWER project has had connections to other programmes and projects. The main aim for this co-operation has been to seek for complementarities and opportunities for further co-operation. On European level, the project has worked together with Concerted Action for Offshore Wind Energy Deployment (COD), OWE and CA-OWEE projects. From the North Sea Region portfolio, the project has co-operated with the Safety at Sea project in relation to develop risk management strategies and reducing harmful effects of disasters. 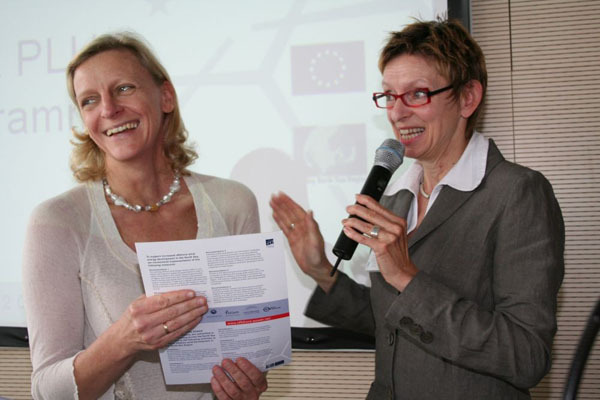 The BALTCOAST project from the Baltic Sea programme has together with the POWER project co-operated on a framework for an international co-ordinated use of offshore water areas, concept for a transnational spatial register and use strategy. The POWER project has delivered true transnational results which will potentially feed into national and / or international decision-making. For instance, the results of the regional and transnational supply chain studies will be implemented by the private OWE and wind energy businesses. 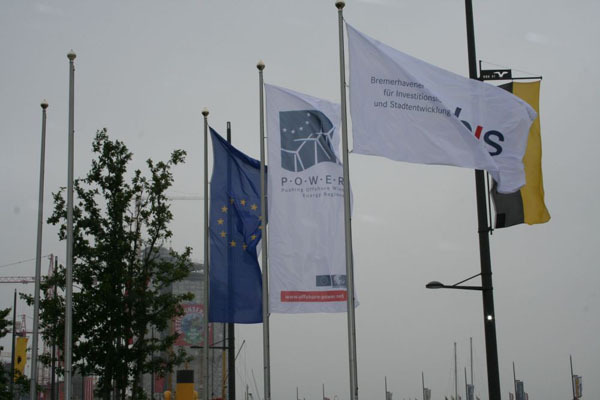 In addition, the POWER activities resulted in a representation of the POWER project in the British Government Consultation for its Energy White Paper as well as the revision of the Erneuerbare-Energien-Gesetz (Renewable Energy Source Act) in Germany. The competence network was selected by the JTS as strategic project and getting a professional video about the co-operation of the POWER partnership.